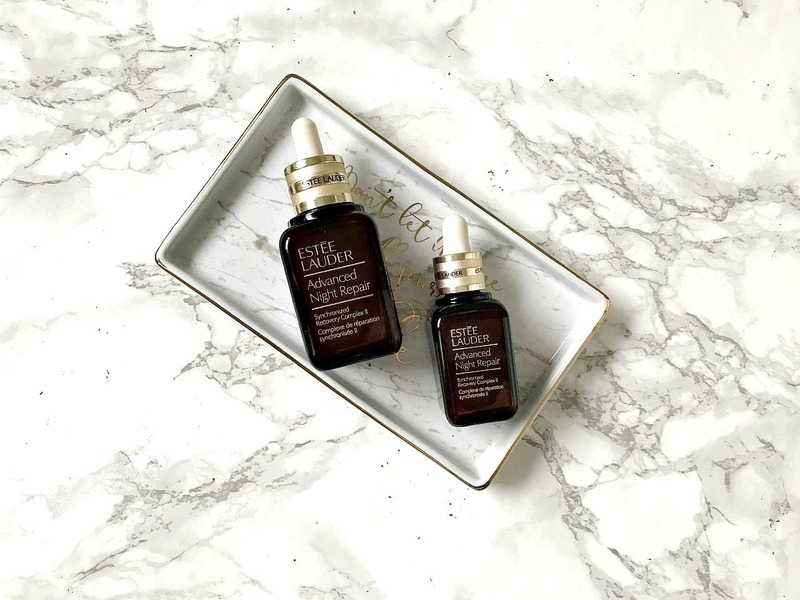 The beauty world changes so quickly - products that are hot right now probably won't even be mentioned in two years time but Estée Lauder Advanced Night Repair was been around since 1982 so this is definitely no flash in the pan product! The line has since extended with eye serums, ampoules, sheet masks, eye masks and a mask in oil (which I didn't rate by the way!) but the serum has remained by favourite product. It is a serum that is applied to cleansed skin by applying a small drop to each fingertip on one hand, then touching both hands together and massaging into the face and neck. It is oil and fragrance free and it targets the key signs of ageing - dullness, loss of elasticity, fine lines, sagging skin. It contains Estée Lauder's ChronoluxCB™ Technology, which is a combination of hyaluronic acid, which attracts and retains 1000 times its weight in water and anti-oxidants, which protect and repair the skin. Night-time is when our skin renews and repairs and it is also a time when our products can work most effectively as they don't have to compete with SPF or makeup so it's crucial to choose night time products wisely to get the best possible results. Estée Lauder Advanced Night Repair, in my opinion, is not a product that gives instant, visible results, however with consistent use, skin is stronger, firmer, plump, hydrated, smooth and bright. Fine lines are diminished, skin is calm, comfortable, toned and radiant - it definitely hides sins of late nights, lack of sleep and not eating as well as you should over the festive period or on holiday, for example. It is my number one go-to skincare product that I consistently repurchase and receive for gifts because everyone knows how much I love it and that I use it consistently. Everyone! I am asked so often for skincare recommendations and this is always the product that I advise people to buy. I've had friends' mothers thank me because they can see a difference, friends with young babies who are having sleepless nights tell me that their skin isn't showing how tired they are, people who are chronically ill telling me that this one product has made such a difference to their skin and literally everybody who I have recommended it to has repurchased it. It isn't the cheapest product but I think that the rest of your skincare can be less expensive if you invest in this one product. It starts at £53 for 30ml but at the moment there is a 20% discount on Lookfantastic if you use the code QUICK at checkout. This isn't sponsored - I always like to share codes and discounts when I find them! Have you tried Advanced Night Repair? I would love to hear your thoughts!